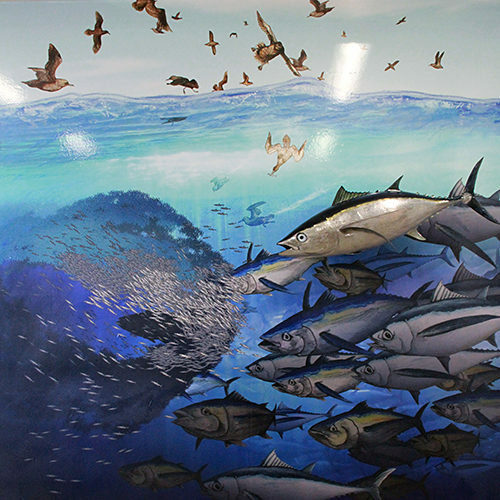 Large 7 x 8 foot wall mural commissioned by the Charleston Marine Life Center. This image was drawn and painted in many individual parts and then combined digitally. It was then printed and mounted directly to the wall at full resolution with no loss.